Beachwalk presents a variety of international standard restaurant and shop vendors. 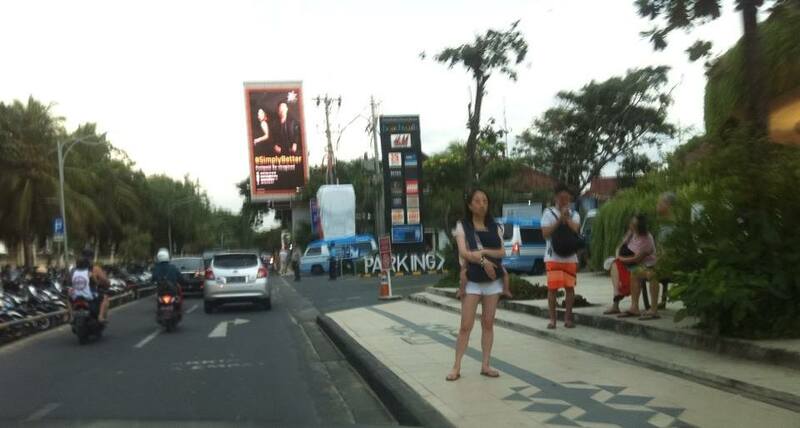 Because of its location not far from Kuta Beach, Beachwalk is often crowded with tourists who want to shop and watch various entertainment held. Beachwalk adopts Balinese architecture in several corners of the building. You can find thatched-roofed buildings, artificial rice fields, until the janur-janur commonly found in temples. Anyway, you could say Beachwalk is a shopping center that has an atmosphere like home. Beachwalk Bali, located on Jalan Kuta Beach, Bali, was only established in April 2012 but its strategic location and complete local and international brands make Beachwalk crowded with visitors every day. Unlike the mall concept in general, this mall has a unique design with open air, you will be reminded of the Balinese tradition with reeds and tropical plants. There are also fountains, the main stage which often presents music shows, and a hanging garden with transparent glass.